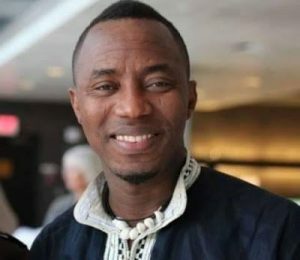 A presidential aspirant, Omoyele Sowore has expressed optimism that the current administration would be sacked owing to what he described as ‘failure’ on the part of President Muhammadu-Buhari to deliver on his campaign promises to Nigerians three years after assuming leadership of the country. Sowore, who stated this while featuring as a guest on Politics Today aired on Channels Television yesterday, said: “President Buhari, having disappointed as a leader and failed a majority of Nigerians will lose in 2019. “What were his plans for coming to power? He promised security but the people of Dapchi know better. DAILY POST reports that Sowore had earlier said, “I don’t feel threatened by his declaration. His declaration is not a certification of re-election. No reason to worry about. Sowore had earlier said, “I don’t feel threatened by his declaration. His declaration is not a certification of re-election. No reason to worry about. 0 Response to "Buhari will lose Presidency – Sowore"